Food & Hospitality Africa in Johannesburg is a large and prestigious trade fair for food and beverage in and from Africa. It covers all areas of the food and beverage sector from meat and dairy products, fruits and vegetables, confectionary and baked goods to dressings, spices and a complete range of drinks. In addition, any accessory is offered, what you need in the hospitality industry. The trade fair is mainly visited by professional buyers of public institutions, hotels, supermarkets and fast-food restaurants to study and compare offers. In addition, the fair is a good opportunity to make new business contacts and to network with other exhibitors. 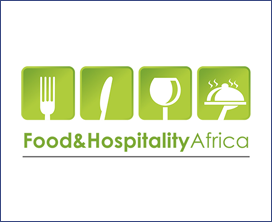 The Food & Hospitality Africa will take place on 3 days from Sunday, 06. May to Tuesday, 08. May 2018 in Johannesburg. Still need a reason to book your stand? This trade show brings together key decision-makers and buyers to engage with more than 180 exhibitors from over 20 countries.